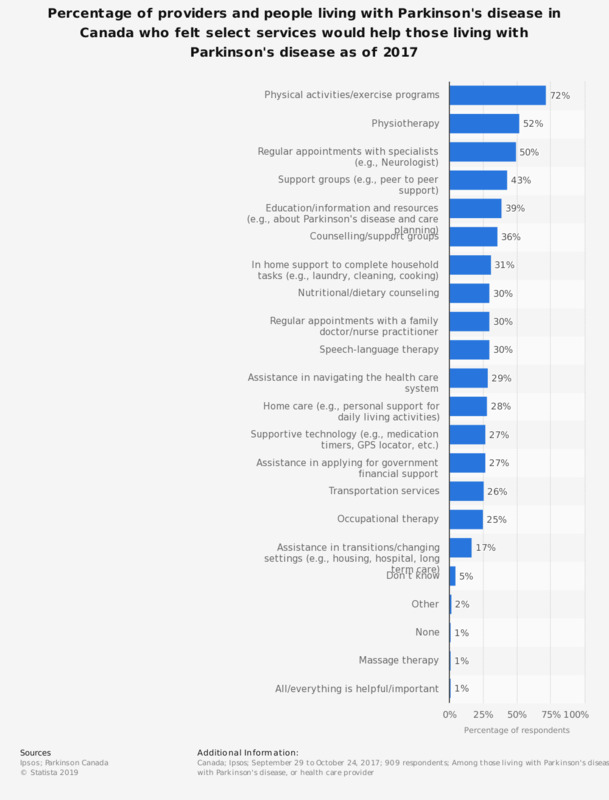 This statistic shows the percentage of Parkinson's disease patients, care providers, and health care providers in Canada who felt select services or resources would help live better with Parkinson's disease as of 2017. It was found that 72 percent of respondents stated physical activities/exercise programs would help those with Parkinson's disease live better. Original question: "What services or resources would help ... live better with Parkinson's disease?"